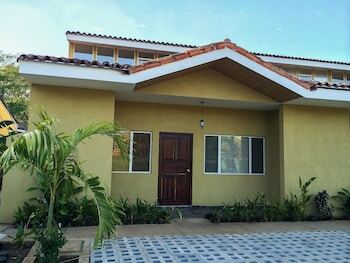 Located in Matapalo, this condo is within a 15-minute drive of Ventanas Beach and Grande Beach. Located in Nosara, Teak Pacific Hotel is within a 15-minute walk of Playa Pelada and Nosara Beach. The front desk is staffed during limited hours. Free self parking is available onsite. Located in Sarapiqui, Selva Verde Lodge is within a 10-minute drive of Costa Rica Nature Pavilion and San Agustin Church. Free self parking is available onsite. When you stay at Hotel de Montaña Suria in Copey, you'll be in the mountains and 11 minutes by car from Rio Savegre Waterfall. With a stay at Chantel Suites in Coco, you'll be within a 15-minute drive of Coco Beach and Haras del Mar Equestrian Center. Free self parking is available onsite.